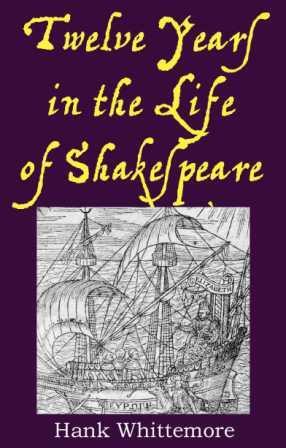 Hank Whittemore’s Twelve Years in the Life of Shakespeare (a compilation of his “A Year in the Life of Shakespeare” columns published in Shakespeare Matters from 2001-2005 during the years of my editorship there) is now available on Kindle (amazon.com). These columns (covering years in the author’s life ranging from 1564 to 1604) are a great way to experience both the personal and political POV on Shakespeare that comes from viewing the works through the lens of the Oxfordian theory of the Shakespeare authorship. The final columns in the collection, covering the years 1601-1604, focus on the Essex Rebellion, the death of Queen Elizabeth and the accession of King James, and make much use of Whittemore’s “Monument” theory that Shakespeare’s Sonnets were primarily concerned with these events.